Recently I was waiting in a long Starbucks line, peering into their bakery case, studying it actually, to see what I could remake at home. Remaking restaurant recipes and coming up with homemade copycat versions is what I do for fun. ‘Fun’ may not be the right word but after 8+ years blogging about food, self-imposed challenges like this inspire me. In fact my copycat Starbucks Lemon Loaf is one of the most popular recipes on my site. 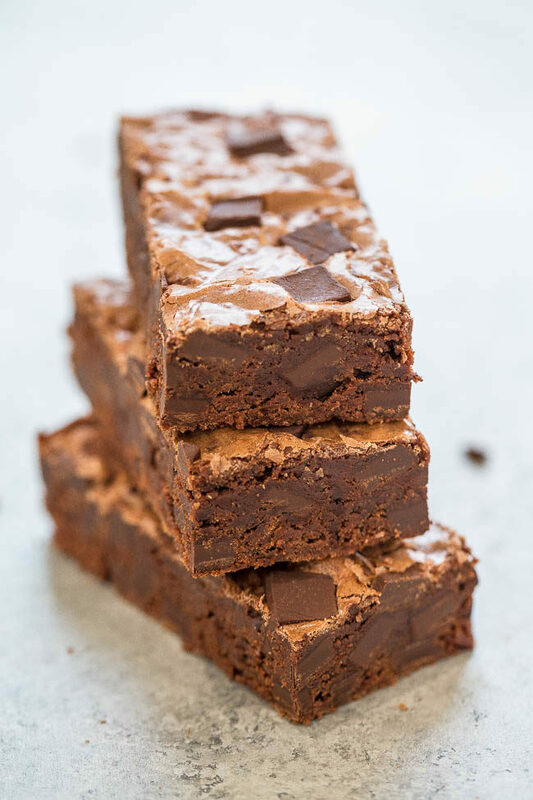 I personally have been partial to this brownie recipe I created in 2014. I’ve remade it umpteen times but it relies solely on melted chocolate. 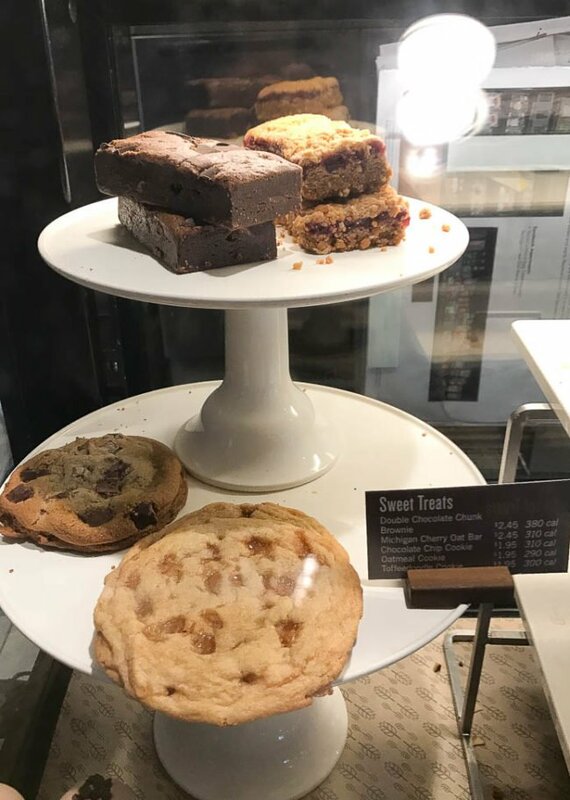 However when I was reading the Starbucks site it says their brownies are made exclusively of cocoa powder which is a twist I wasn’t expecting. So I turned to a brownie recipe I made in 2013, courtesy of Alice Medrich, doctored it up, and voila we have copycat Starbucks Double Chocolate Brownies. My family raved about these. They’re rich, fudgy, not cakey, perfectly chewy, and so easy to make. One bowl, no mixer, and studded with chocolate chunks. You can save yourself the $2.45 per brownie and when it’s homemade the calories don’t count either. The brownies are rich, fudgy, not cakey, perfectly chewy, and so easy to make. One bowl, no mixer, and studded with chocolate chunks. 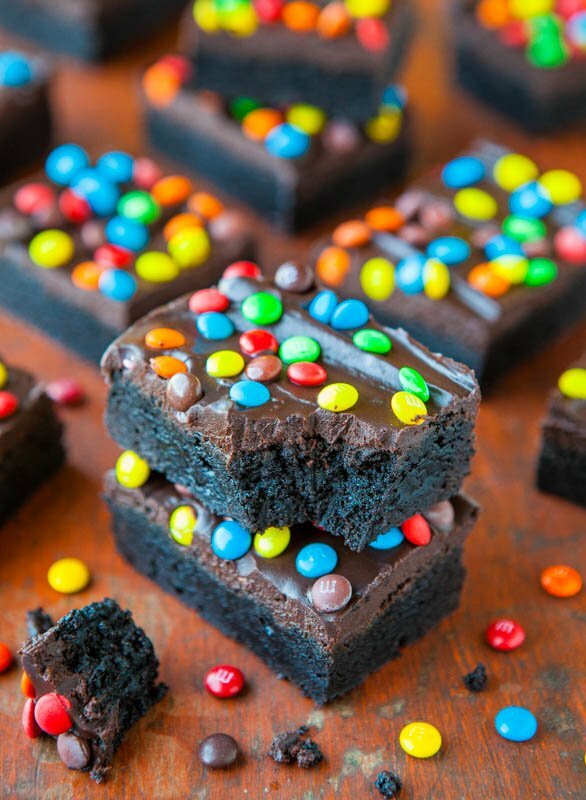 You can save yourself the $2.45 per brownie and DIY. Preheat oven to 350F and line an 8×8-inch square baking pan with aluminum foil for easier cleanup and spray with cooking spray; set aside. To a large, microwave safe bowl add the butter and heat on high power to melt, about 1 minute. Add the sugar, eggs, vanilla, and whisk to combine. Add the cocoa powder and stir to combine (Note – If your cocoa powder is particularly lumpy you may wish to sift it before adding it). Add the flour, salt, and stir to combine. Add 1 1/2 cups chocolate chunks and stir to combine. Turn batter out into prepared pan (it will be thick) and smooth the top lightly with a spatula. Evenly sprinkle remaining 1/2 cup chocolate chunks on top, lightly tapping them down so they adhere. Bake for about 25 to 30 minutes or until the edges are set and a toothpick inserted in the center comes out clean or with a few moist crumbs, but no batter. 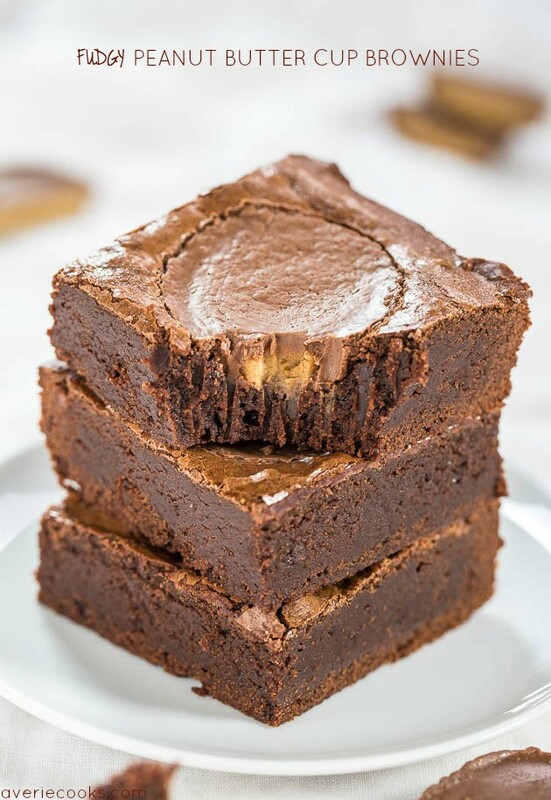 Allow brownies to cool in pan on a wire rack for about 2 hours before slicing and serving. I sliced them into 8 generous rectangles similar to how Starbucks does it. 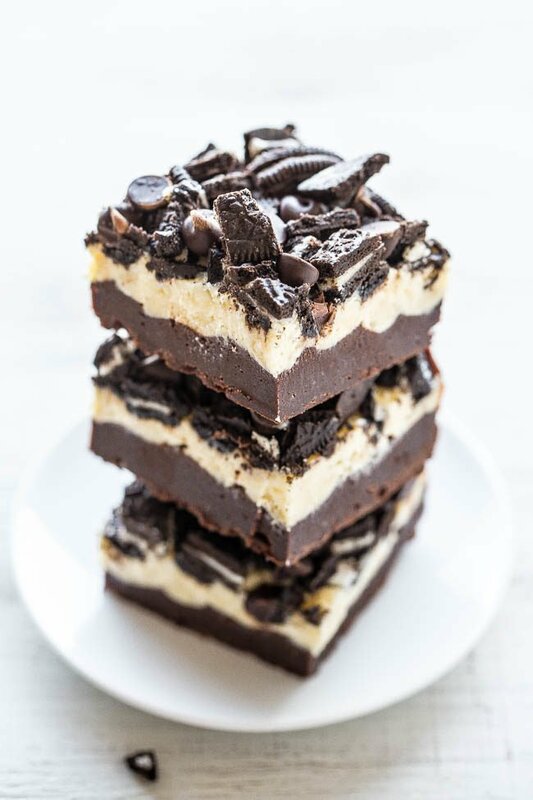 Loaded Oreo Cream Cheese Brownies – Ultra fudgy brownies topped with cream cheese, white chocolate chips, chocolate chips, and Oreos! Easy, no mixer recipe that’s as easy as using a mix! 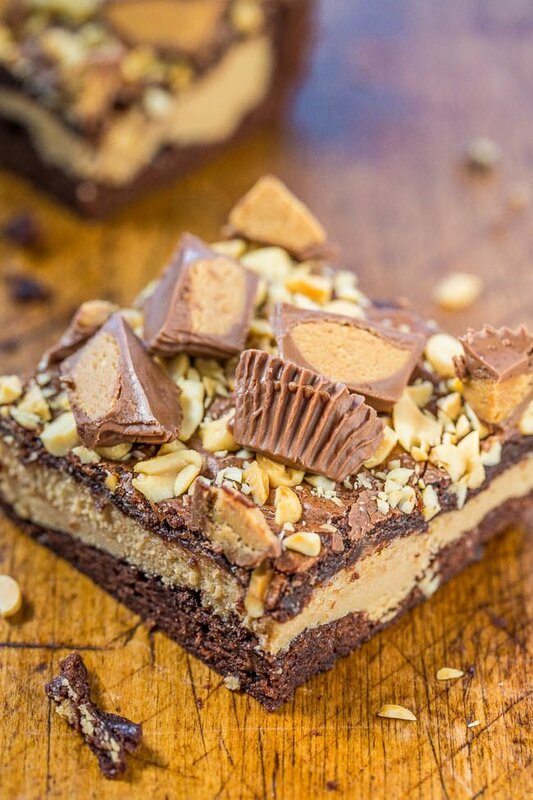 Peanut Butter Cup Cheesecake Brownies – Fudgy brownies with a layer of peanut butter cheesecake and topped with peanuts and peanut butter cups! Rich, decadent, and amazing! A must-make for all peanut butter lovers! 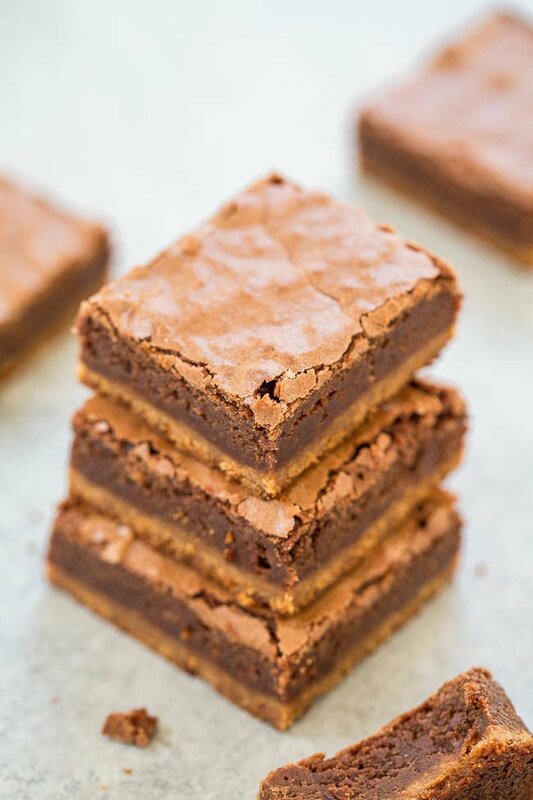 Texas Sheet Cake Brownies – Easy, fudgy, no mixer brownies that are rich, chocolaty and decadent! 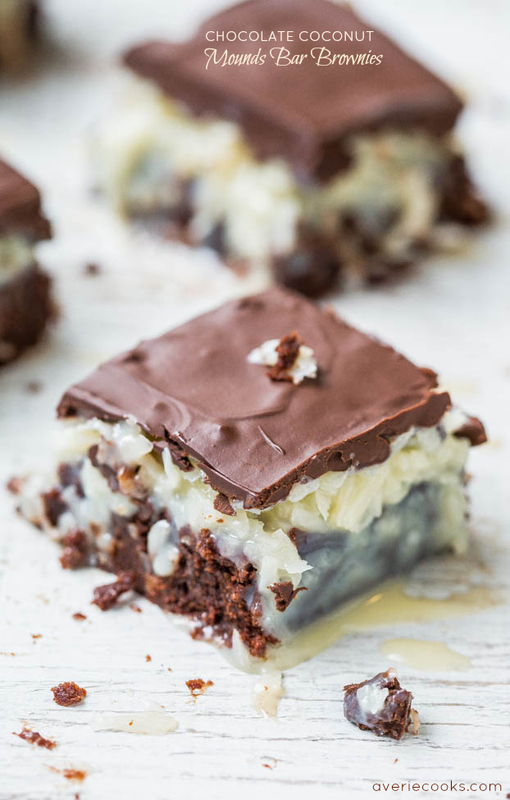 The classic Texas sheet cake frosting makes them totally irresistible! 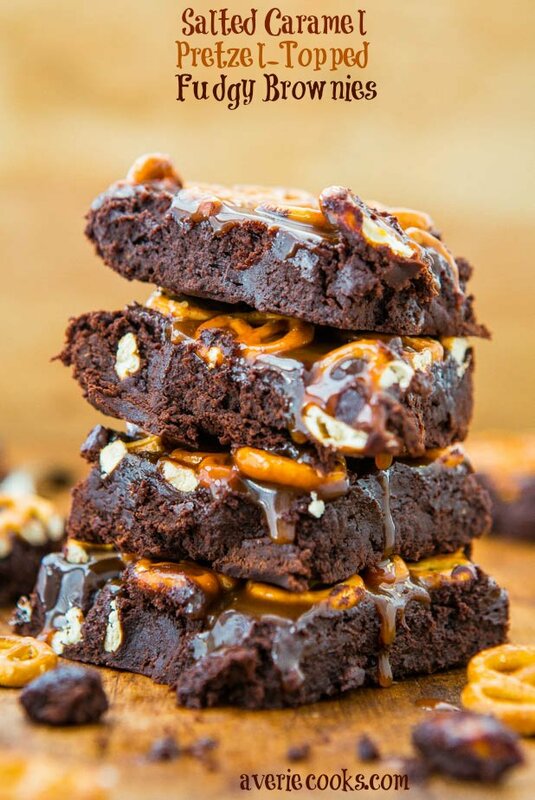 Peanut Butter Brookies – A soft and chewy peanut butter cookie base with fudgy brownies on top!! For peanut butter + chocolate lovers, this easy no-mixer recipe is the best of both worlds! Amazing recipe. I’m a fan of. SB Brownies and this was better. Just didn’t like it in the fridge.. It became too hard. Thanks for trying the recipe and glad you think they’re better than Starbucks! Made this recipe tonight for a bake off at Work. Brownies turned out just wonderful I added a teaspoon of espresso powder to bring out flavor more and also added half a cup of macadamia nuts. Y’all really have to let these cool down before cutting!! Just wondeful!! 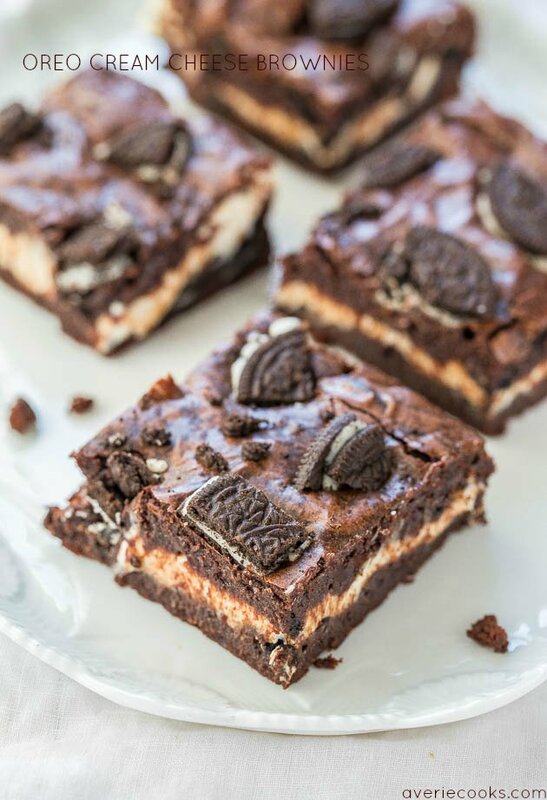 I almost always add a tsp of espresso powder because I totally agree that it really brings out the flavor but for whatever reason, I didn’t mention it in this recipe, but yes great thinking and glad you loved these! I made these the other night, my family loved them. i think i still prefer Starbucks brownies personally though. I added too many chocolate chunks for my own preference. If I make them again I’ll add a bit less, and i’ll try adding the espresso powder as the other comments have mentioned above! These were also my first go at making brownies from scratch and they did turn out great! Thanks for the wonderful recipe! 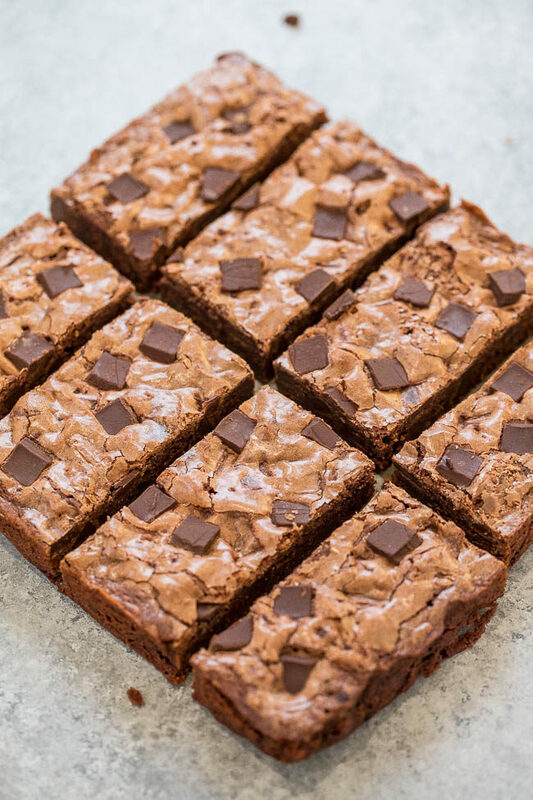 If you have never made homemade brownies before, it’s hard to compare that to Starbucks…baking takes some practice to perfect over time :) But overall glad your family loved them! And yes, add the espresso powder, it really helps a ton. This is my first time making brownies from scratch. Holy moly, these are SO good!! My husband LOVED them as well and said they were the best brownies he’s ever had. Thank you for the best blog! Thanks for LMK it was your first time ever making scratch brownies and glad they turned out amazingly well for you! 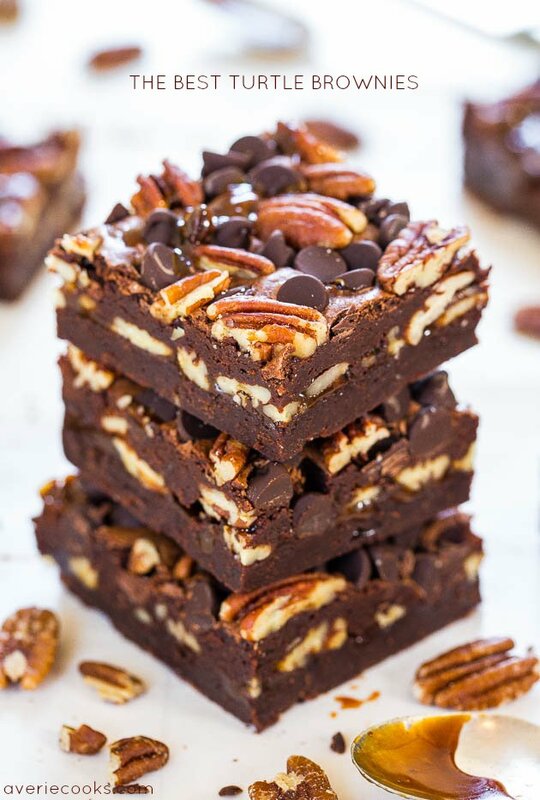 And that hubby said they were the best brownies he’s ever had – I love hearing that!! A great recipe! I love that it is made solely with cocoa powder in one bowl and doesn’t require melting chocolate. 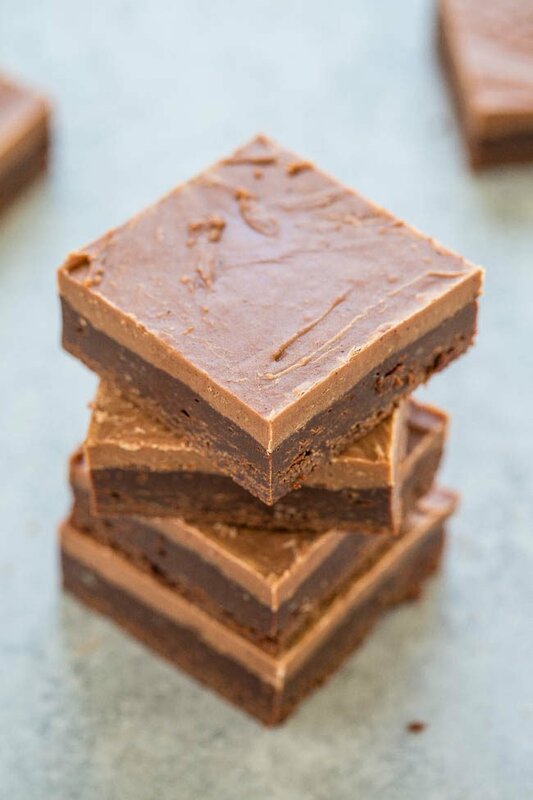 Very quick and easy and it has become my go-to brownie recipe! 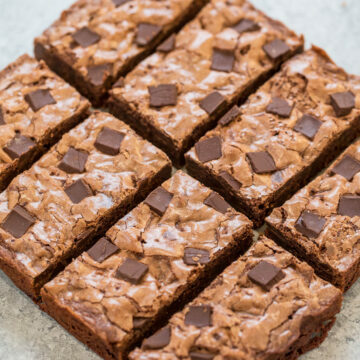 I have made these brownies a few times and always get lots of compliments. I have tried several recipes from avericooks.com and they always turn out very well! Thanks for the 5 star rating and glad these have become your go-to recipe! Thanks for the compliments that my other recipes always turn out well for you! Thanks for the 5 star review and glad you love the brownies! I make these all the time! The recipe is super quick and easy and I always seem to have the ingredients! Sometimes I add peanut butter chips instead of chocolate chunks. Thanks for the five star review and I’m glad you make these all the time! The peanut butter chips sound great! Wow, these are absolutely delicious. Thanks for the recipe! Glad they came out wonderfully for you! My son wants to make this for his classmates, but an 8×8 pan won’t be enough. If we are using a 9×13 pan, would we just double your recipe? My son said he wanted a brownie like Starbucks, so I searched it and found this recipe. I knew it would be good, because I’ve made many other of your recipes. I doubled it because we really like brownies. Turned out great as far as I’m concerned. My son hasn’t tried them yet because he went out. Hopefully he’ll love them. Took 38 min in my oven, and I forgot to try the espresso powder, next time I will add it. Thanks for the five star review and I’m glad these turned out great as well as other recipes of mine that you’ve tried! What is this sorcery? 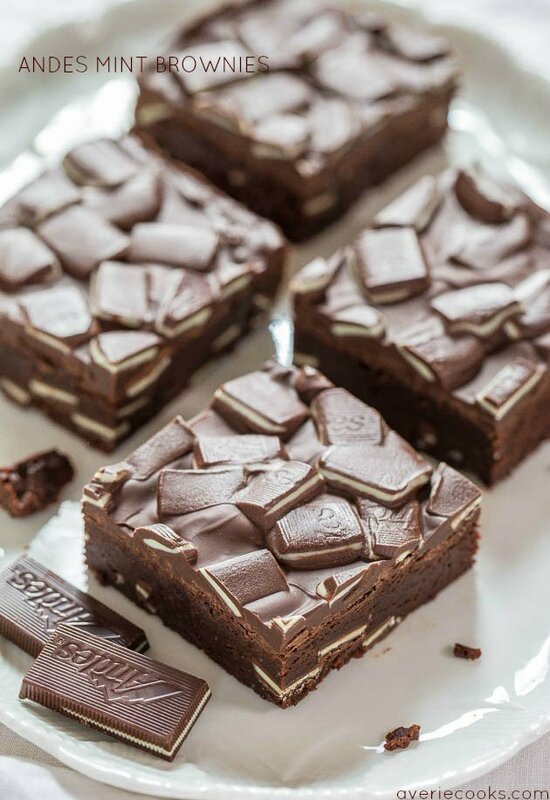 I have created (thanks to you) the same brownie I crave from Starbucks! Thank you for my new go-to brownie recipe! 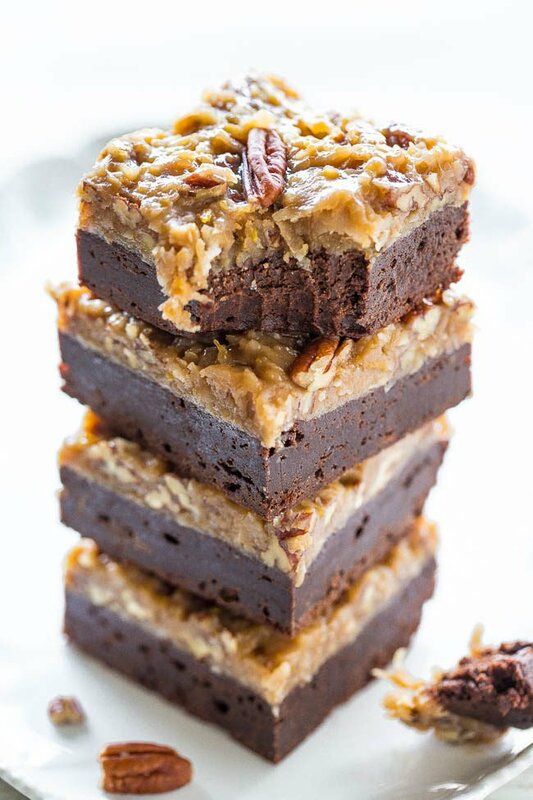 Thanks for the five star review and I’m glad you re-created your favorite Starbucks brownies! It makes an 8×8 pan so depending on the size you slice them will determine how many it yields.